Christian Dior eyewear, Dior eyeglasses and Dior frames reflects the most luxurious collection of eyeglasses and confirms the leading position in fashion industry. 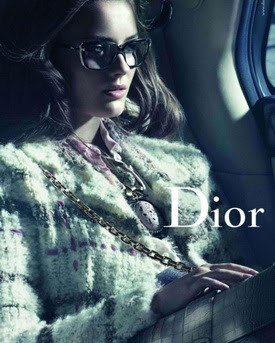 Dior eyeglasses represent very feminine and sophisticated look for men and women who know what luxury really means. Christian Dior glasses and Dior frames always offer the highest quality materials manufactured in Italy and variety of colours and shapes. Follow our offer of very fashionable Christian Dior frames and eyeglasses to get the most wanted look!